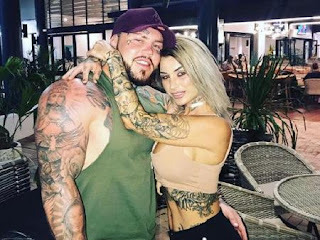 Ben 'Notorious' Geppert an Instagram famous ex-Hells Angels enforcer says his girlfriend sparked a KFC car park brawl with a rival bikie. Geppert told the back story to the fight on Nomads president Moudi Tajjour's podcast, Can't Fight Fate. Geppert has revealed it was Ms Vader who pointed out the rival bikie, telling him to 'get out of the car and have a crack'. Geppert was given a six-month prison sentence, suspended for three years in July, over a number of charges relating to the brawl.